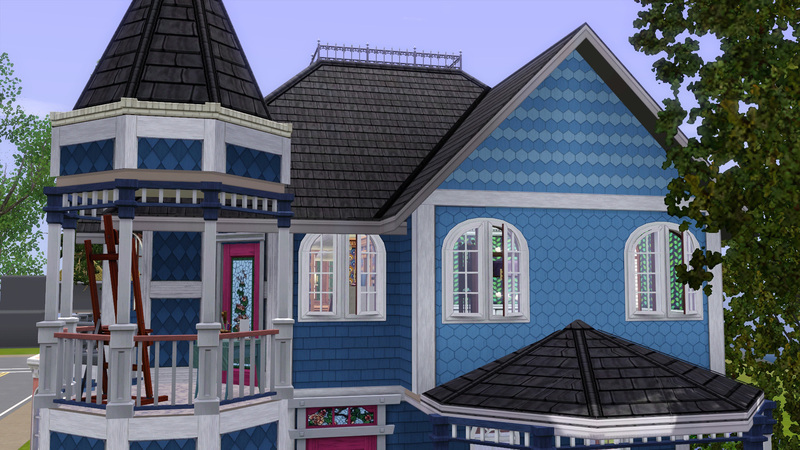 As a great lover of not only Victorian style architecture but also wooden shingles, the complete lack of fancy cut shingles in TS3 has been an utter disappointment to me. But I am disappointed no more! 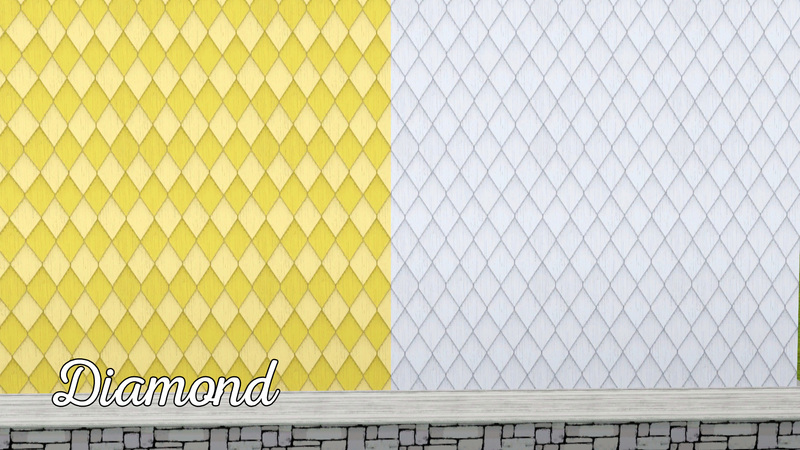 Introducing my set of 9 matching shingle patterns, which are sure to please any builder of historic homes. 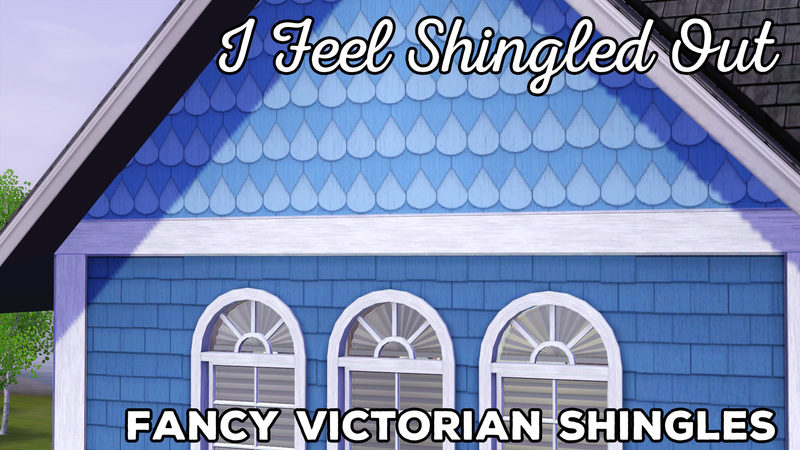 This set offers all of the shingle styles you need to create any Victorian charmer you desire, including a matching square shingle. 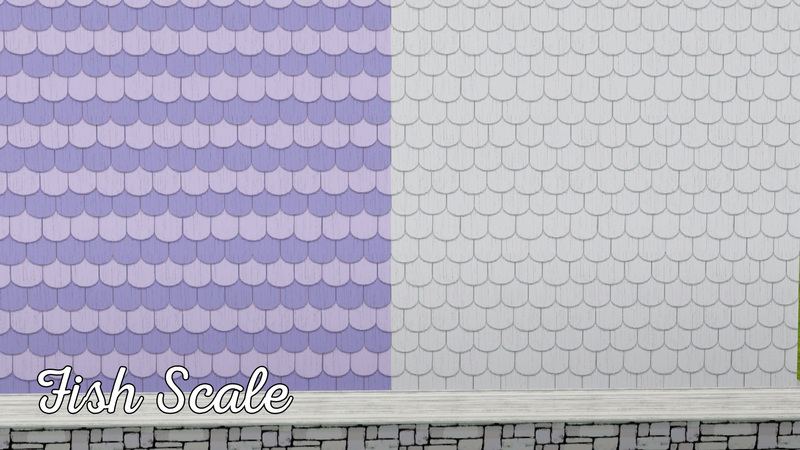 Every shingle pattern is fully CASTable with two separate channels. 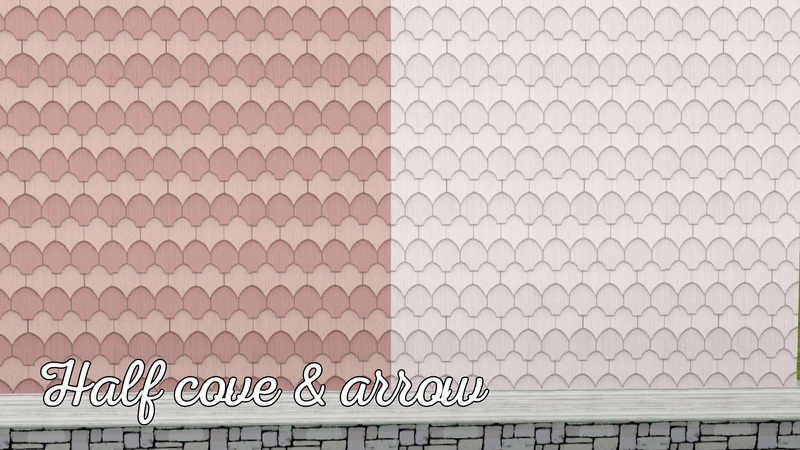 All of the shingles have been created based on real life shingle patterns (some of which I've seen around my town!). 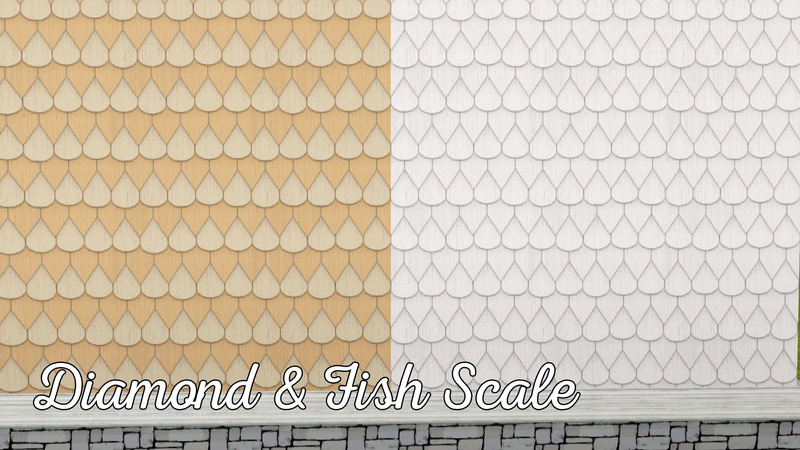 All of the patterns offer realistic shading and texture details. I have provided two options for downloading depending on your preferences. The "all" zip contains a single merged package file with all of the patterns pictured here. 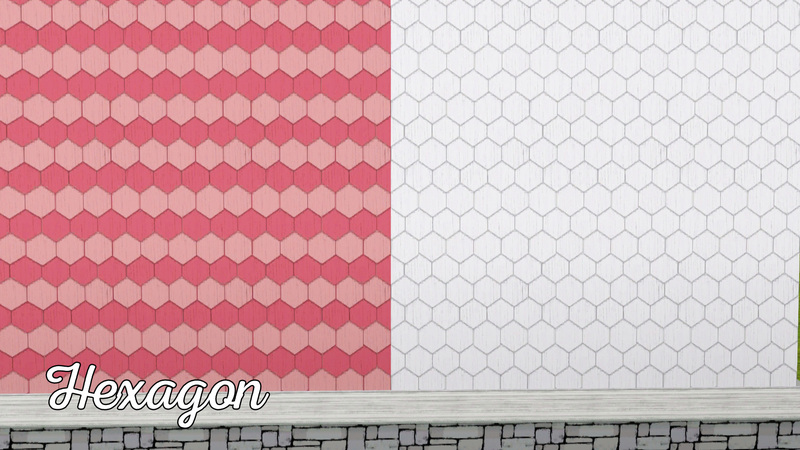 If you only want certain patterns, you may instead download the individual zip files. 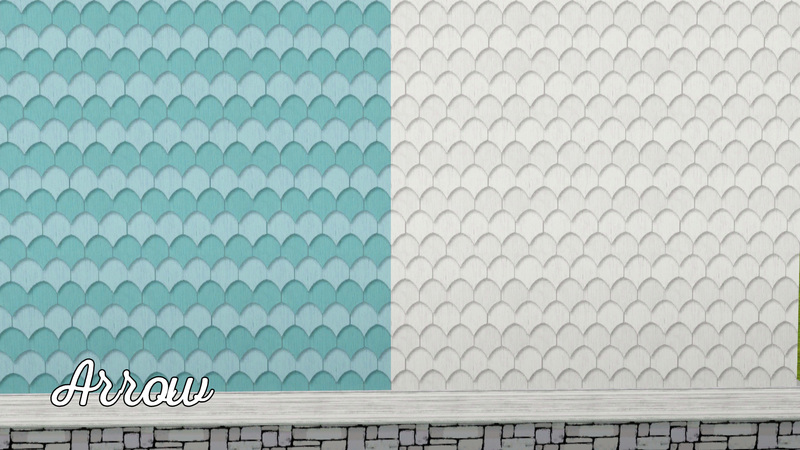 The shingle shapes and pattern combos were created by me from scratch, as I couldn't find sufficient texture photographs of real-life shingles. 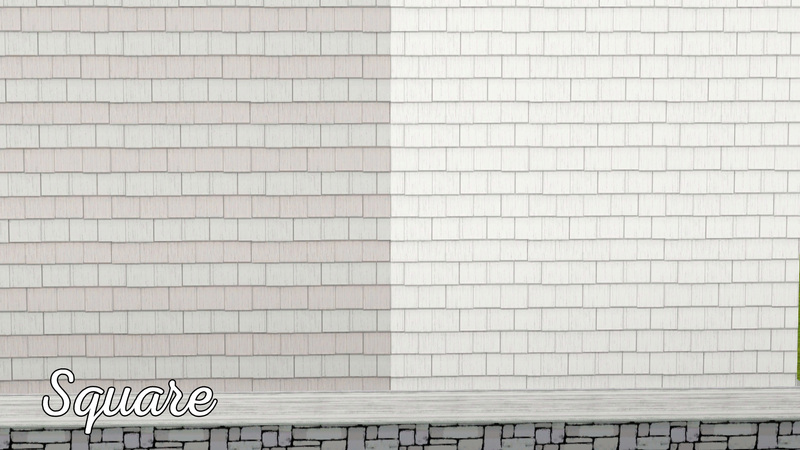 Wood Light Staining texture by Mayang used on all the shingles. Special thanks to everyone in MTS chat for offering their advice, critiques, and support while I was in the process of making this set. 141 people have said thanks to PharaohHound for this download.